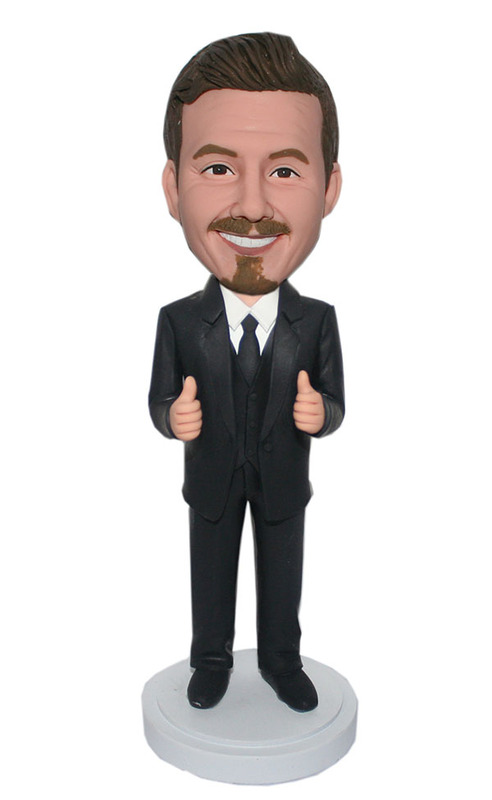 Wearing black suit and vest with white shirtinside,this custom businessman bobblehead doll is giving his thumbs up. Simple butcomfortable,traditional but handsome. 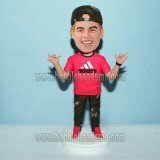 You are a positive man and you love your life.This customized bobblehead can honor the man in your life who's always positive in whatever circumstances, also it can encourage your friend to take courage to face all the difficulties, for there is always a way out!! Fast shipping! Excellent quality! Highly recommended!! Can't wait to use at my wedding!